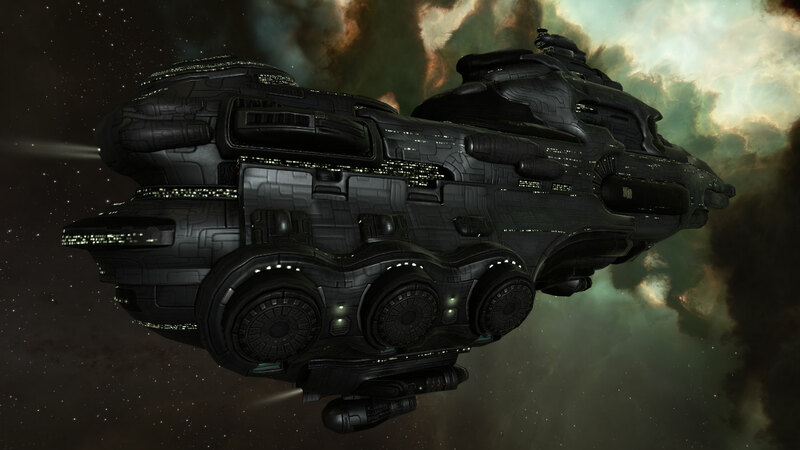 A capital-killing charity event is set to take place this Sunday, with the main set piece for the event being a Vehement, the Serpentis dreadnought. I sat down with FullMetalTS1, member of The Dark Space Initiative, who will be flying his Vehement like he stole it this weekend. Sanders Schmittlab: How did you come up with the idea for a Vehement roam like this? SS: Those are the different EVE charities the event will be benefitting? FM: Yes. We will be donating all the proceeds to Broadcast4Reps, Spam4Heals, Best of Us, Care4Kids, and Pew4Reps. There will also be a guy that is streaming for charity, so you will be able to donate directly to charity through him. Those proceeds will be going to an Earth-wide suicide, depression, and mental illness prevention charity to help people try and get themselves out of a rut they are in. I know I have been there. It isn’t easy getting out and I needed a lot of help, so it is an important cause for me. SS: Where and when will the roam be going out from, and where will you be headed to (if that isn’t OpSec)? FM: This Sunday, formup will start at 18:00 and the roam will start at 19:00.The (subcap section of the) roam will be forming at the Dodixie market hub. We will be going gate-to-gate in highsec to Ostingle, which is where the pirates and capitals will be staging. Once there, the fleet will roam to the Syndicate system of Poitot, where the real fighting will happen. SS: Will the fleet be going gate to gate through lowsec to get to Poitot, or will you cyno over? FM: The subcaps will be going gate to gate because I haven’t been able to find anyone who is willing to let me borrow a Titan for the event. The capitals will be cynoing from Ostingle to Poitot. SS: I assume it will be an all-comers fight in Poitot? FM:Yes, it will be a massive Thunderdome. The event fleet will be trying to defend the Vehement (after whoring on the killmail, of course), and we will take on any fleet that shows up to try and kill it. SS: How many Vehements and capitals do you think will be showing up at this event? FM: Right now, I only know of the one Vehement (my own) and I know it’s pretty pricey (it has purple on it). To the extent of my knowledge, I don’t know if there are any other Vehements that are planning on showing up. As for friendly caps, I know that there will be at least seven on grid, perfect numbers to keep the fight going on. SS: With sacrificing a Vehement, with its enormous price tag, what are you personally getting out of this event? FM: I have no personal gain out of Pew4Reps and this fleet. I don’t want to become famous for this, I want to become famous for something stupid or different like the Alliance Tournament or something like that. My main goal is to raise awareness, and that is always the goal of Pew4Reps. My name is going to get out there yes, but there are other people who have helped me set this up that deserve just as much recognition for it: Tovanis, Emma en Divalone, Glasgow Dunlop, my corp The Dark Space Initiative, and both Max Singularity and the Sixth Empire Alliance. I’d also like to thank Broadcast4Reps for everything they do and the support they have given me for this event. SS: How much would you like to see donated to the different charities from this event? FM: I don’t really have a goal per se, but anything that is donated will be sent off to the charities. I’m hosting the event for fun and because it is a good cause. If people want to donate money to the charities, I hope that they will give whatever they can to these good causes. I think that as long as people have fun on the fleet and in the event, the amount of donations we collect will be amazing. SS: What do you think the turnout will be for the event? FM: Right now, based on what a few different groups have said, I think we are looking at a thousand plus people showing up. My CEO has already requested that the node be reinforced on the day of the event, so TiDi should not be an issue. It will be one hell of a thunderdome. SS: Will there be anything else going on in conjunction with the roam (raffles, door prizes, etc)? FM: I do have raffles and awards that will get sent out to people that participate in the fleet and donate ISK. We’ve had a bunch of stuff donated to give out, including a Minokawa and a couple of billion in ships, a billion ISK in prizes, and a bunch of faction modules to will be given out as both prizes and as drops from event ships. It looks like it will be a pretty great event, so come down to Poitot if you want to join in on the thunderdome this Sunday at around 19:00.